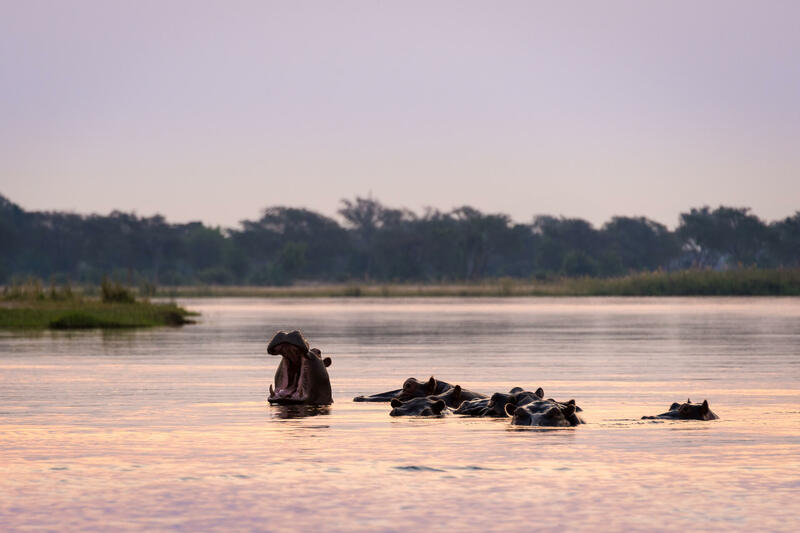 L ittle Ruckomechi Camp has opened in Wilderness Safaris’ private concession in Zimbabwe’s Mana Pools National Park, offering an intimate and authentic safari experience in this remarkable wilderness area. It is a small and intimate tented camp, ideal for sole-use bookings and family groups or small parties travelling together with a private guide. Set amongst the iconic albida trees that characterise the area, the Camp comprises just three elegant and airy tented suites built on wooden decks. The living spaces include a dining and lounge area, as well as a plunge pool, all overlooking the majestic Zambezi River. “We are delighted to welcome our guests to this piece of paradise; one that epitomises the personal service, intimacy and warmth that our tented camps are renowned for”, says Little Ruckomechi Camp Manager, Ishmael Nzara. “Together with professional guide, Honest Siyawareva, we are looking forward to tailor-making each guest’s stay to suit their exact needs and to ensure that they experience a truly exclusive safari in our private concession – including exceptional walking safaris, game drives and a myriad water-based activities”. The elegant interiors offer an understated luxury to embrace the natural beauty of its exteriors. “The warm ‘red’ and brown/grey colour scheme for the interiors was drawn from the hues of the beautiful carmine bee-eater that is famous in this area, enhanced by the blues of the sky and river frontage that can be seen in the glassware and old painted kists in the tents”, said Interior Designer, Mandy Langebrink. “The deeper red in the wing of the carmine bee-eater is picked up in various scatter cushions and floor mats in the tents, with elements of copper and rose used throughout the camp, including the lamps, utensils and napkin rings. Old-fashioned leather armchairs, ottomans and rough wooden coffee tables enhance the rough textures of the natural exteriors, with the warmer, layered look of a nostalgic tented camp created indoors. We also used locally-sourced Lozi drums and bowls to add an authentic Zimbabwe feel”, she added. All activities at Little Ruckomechi are led by a private guide who will ensure that guests are able to choose the tempo of their day, whether enjoying day and night game drives, birding, nature walks or a range of water-based adventures such as canoeing, river cruises or catch-and-release fishing. The wildlife-rich area is home to large numbers of elephant, buffalo, hippo and eland. Predators such as lion, leopard and wild dog are all found in the area and bird life is abundant.